Match ends, AFC Wimbledon 4, Tottenham Hotspur U21 3. Second Half ends, AFC Wimbledon 4, Tottenham Hotspur U21 3. Goal! AFC Wimbledon 4, Tottenham Hotspur U21 3. Dean Parrett (AFC Wimbledon) header from very close range to the top right corner. Assisted by Lyle Taylor. Foul by Egli Kaja (AFC Wimbledon). Keanan Bennetts (Tottenham Hotspur U21) wins a free kick in the defensive half. Substitution, Tottenham Hotspur U21. Reo Griffiths replaces Samuel Shashoua. Attempt blocked. 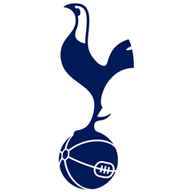 Ryan Loft (Tottenham Hotspur U21) right footed shot from the right side of the box is blocked. Attempt missed. Lyle Taylor (AFC Wimbledon) right footed shot from very close range is just a bit too high. Foul by Anthony Hartigan (AFC Wimbledon). Kazaiah Sterling (Tottenham Hotspur U21) wins a free kick on the left wing. Attempt missed. Alfie Egan (AFC Wimbledon) right footed shot from the centre of the box is close, but misses to the right. Foul by Dean Parrett (AFC Wimbledon). Luke Amos (Tottenham Hotspur U21) wins a free kick in the attacking half. George Marsh (Tottenham Hotspur U21) wins a free kick on the left wing. Substitution, Tottenham Hotspur U21. Ryan Loft replaces Shilow Tracey. Substitution, Tottenham Hotspur U21. Brooklyn Lyons-Foster replaces Jonathan Dinzeyi. Attempt missed. Dean Parrett (AFC Wimbledon) header from the right side of the six yard box is close, but misses to the right. Corner, AFC Wimbledon. Conceded by George Marsh. Attempt missed. Joe Pritchard (Tottenham Hotspur U21) right footed shot from outside the box is too high. Corner, Tottenham Hotspur U21. Conceded by Egli Kaja. Substitution, AFC Wimbledon. Dean Parrett replaces Harry Forrester because of an injury. Attempt missed. Anthony Hartigan (AFC Wimbledon) right footed shot from outside the box is close, but misses to the right. Attempt blocked. Egli Kaja (AFC Wimbledon) right footed shot from the centre of the box is blocked. Corner, AFC Wimbledon. Conceded by Christian Maghoma. Harry Forrester (AFC Wimbledon) wins a free kick in the defensive half. Foul by George Marsh (Tottenham Hotspur U21). Goal! AFC Wimbledon 3, Tottenham Hotspur U21 3. Toby Sibbick (AFC Wimbledon) right footed shot from outside the box to the bottom left corner. Goal! AFC Wimbledon 2, Tottenham Hotspur U21 3. Kazaiah Sterling (Tottenham Hotspur U21) right footed shot from very close range to the centre of the goal. Assisted by Keanan Bennetts. Substitution, AFC Wimbledon. Lyle Taylor replaces Cody McDonald. Luke Amos (Tottenham Hotspur U21) wins a free kick in the defensive half. Attempt missed. Harry Forrester (AFC Wimbledon) right footed shot from outside the box is close, but misses the top right corner. Attempt blocked. Kazaiah Sterling (Tottenham Hotspur U21) right footed shot from the right side of the box is blocked. 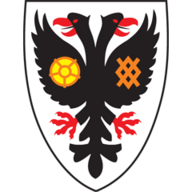 Delay in match Harry Forrester (AFC Wimbledon) because of an injury. Attempt saved. Egli Kaja (AFC Wimbledon) right footed shot from outside the box is saved in the top centre of the goal. Keanan Bennetts (Tottenham Hotspur U21) wins a free kick on the left wing. Foul by Alfie Egan (AFC Wimbledon). George Marsh (Tottenham Hotspur U21) wins a free kick in the defensive half. Substitution, AFC Wimbledon. Liam Trotter replaces Tom Soares. Second Half begins AFC Wimbledon 2, Tottenham Hotspur U21 2. First Half ends, AFC Wimbledon 2, Tottenham Hotspur U21 2. Harry Forrester (AFC Wimbledon) wins a free kick on the left wing. Foul by Luke Amos (Tottenham Hotspur U21). Corner, Tottenham Hotspur U21. Conceded by Callum Kennedy. Attempt missed. Harry Forrester (AFC Wimbledon) right footed shot from the right side of the six yard box is close, but misses to the right. Tom Soares (AFC Wimbledon) wins a free kick in the defensive half. Foul by Oliver Skipp (Tottenham Hotspur U21). Corner, AFC Wimbledon. Conceded by Keanan Bennetts. Goal! AFC Wimbledon 2, Tottenham Hotspur U21 2. Egli Kaja (AFC Wimbledon) right footed shot from outside the box to the bottom left corner. Corner, AFC Wimbledon. Conceded by Jonathan Dinzeyi. Attempt blocked. Harry Forrester (AFC Wimbledon) right footed shot from outside the box is blocked. Goal! AFC Wimbledon 1, Tottenham Hotspur U21 2. Samuel Shashoua (Tottenham Hotspur U21) right footed shot from the centre of the box to the bottom right corner. Assisted by Keanan Bennetts. Attempt missed. Joe Pritchard (Tottenham Hotspur U21) right footed shot from outside the box is close, but misses to the right. Egli Kaja (AFC Wimbledon) wins a free kick in the defensive half. Foul by Keanan Bennetts (Tottenham Hotspur U21). Corner, AFC Wimbledon. Conceded by Brandon Austin. Attempt saved. Tom Soares (AFC Wimbledon) right footed shot from outside the box is saved in the bottom left corner. Goal! AFC Wimbledon 1, Tottenham Hotspur U21 1. Toby Sibbick (AFC Wimbledon) header from very close range to the bottom left corner. Goal! AFC Wimbledon 0, Tottenham Hotspur U21 1. Shilow Tracey (Tottenham Hotspur U21) left footed shot from the centre of the box to the centre of the goal. Assisted by Kazaiah Sterling. Foul by Harry Forrester (AFC Wimbledon). Samuel Shashoua (Tottenham Hotspur U21) wins a free kick on the right wing. Anthony Hartigan (AFC Wimbledon) wins a free kick in the defensive half. Attempt missed. Harry Forrester (AFC Wimbledon) right footed shot from outside the box is close, but misses to the right. Foul by Paul Robinson (AFC Wimbledon). Kazaiah Sterling (Tottenham Hotspur U21) wins a free kick in the attacking half.